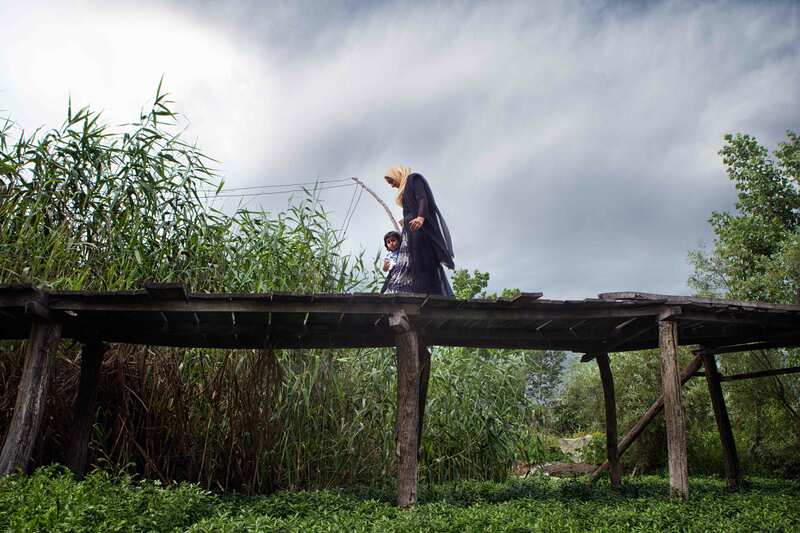 Sharmistha Dutta’s photography revolves around people and is a constant reflection of her fascination with human nature and the way people live their lives. She loves to dabble in portrait photography and has shot for many fashion designers, product designers, theatre artists and actors. Her most prominent work has been 'Durga', a photo project on gender bias and social discrimination against widows in India. The work has been exhibited at various International photo festivals and is now published as a photo book. 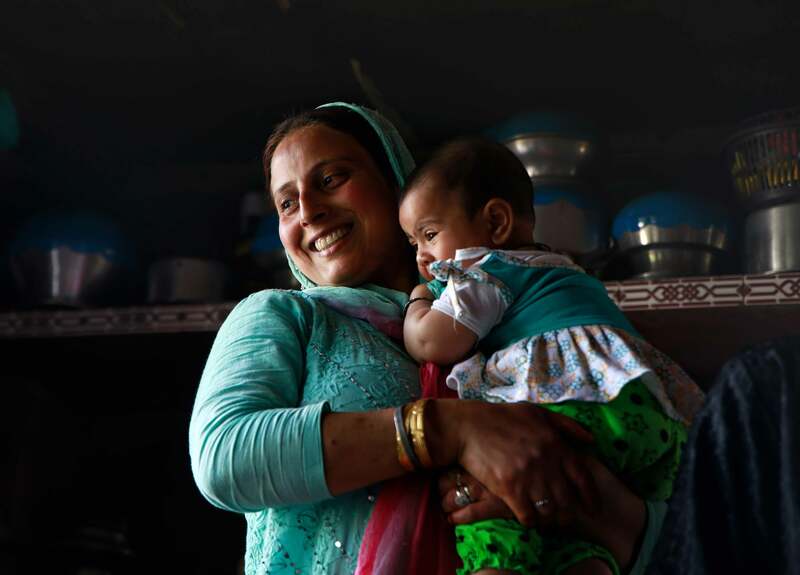 She has shot for UN Women, BBC, Bill Gates Foundation and Giz. 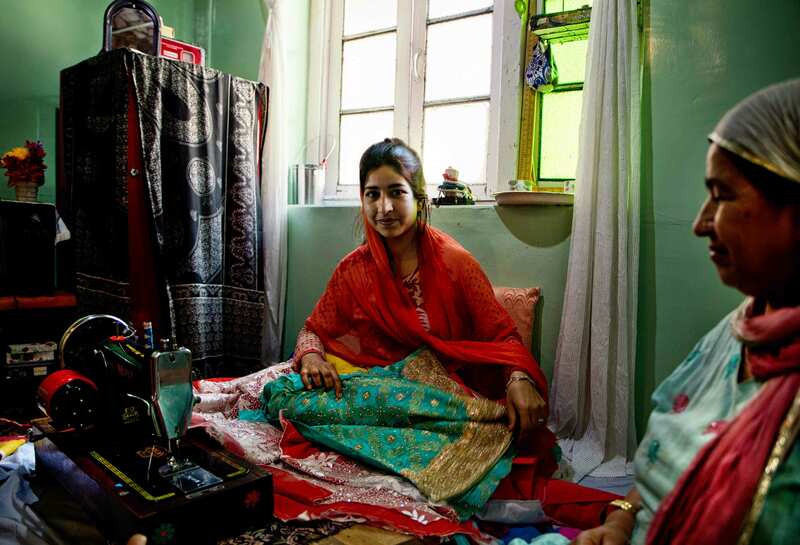 She was recently commissioned to do a photo story on the handloom weavers of Varanasi by the Serendipity Arts Trust. The work was exhibited at the Serendipity Arts Festival in December 2017. Sharmistha's work has also been published in 'Vogue', 'The Hindu', 'Art & Deal Magazine', 'Huffington Post', 'DW' and 'Homegrown'. The time is 5:30 am. There is a nip in the air. 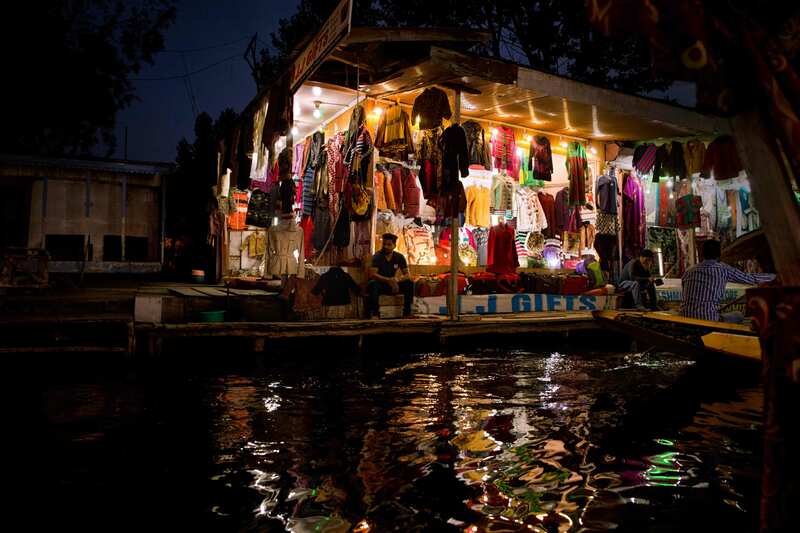 As far as my eyes can see, the serene blue lake is dotted with small houseboats, their lights shimmering on the lake surface. 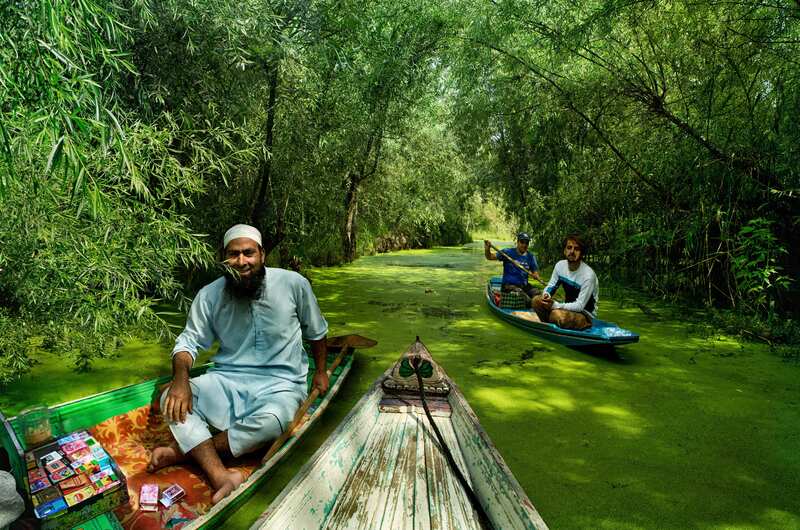 I can hear the gentle sound of oars against the water, as Rafique-bhai (my shikarawallah) negotiates narrow channels lined with tall grass and marshes. 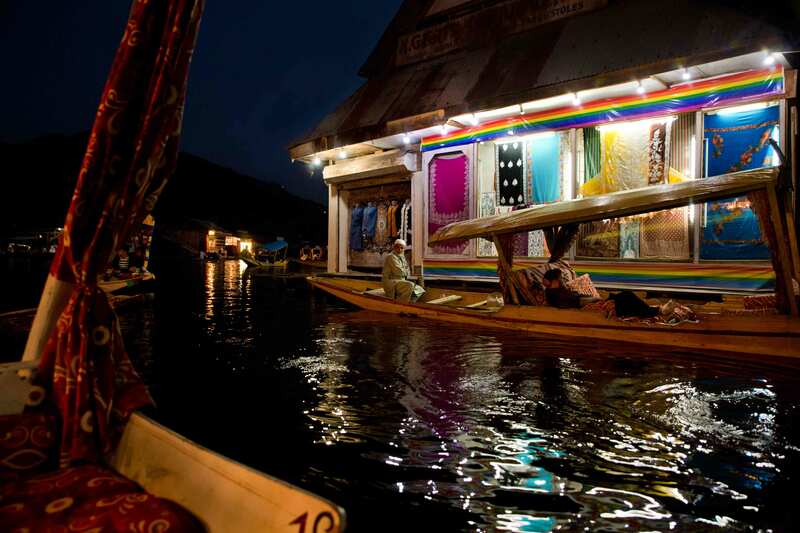 The dark sky is slowly turning a shade mauve as we approach a floating market, one of the largest of its kind in Asia. 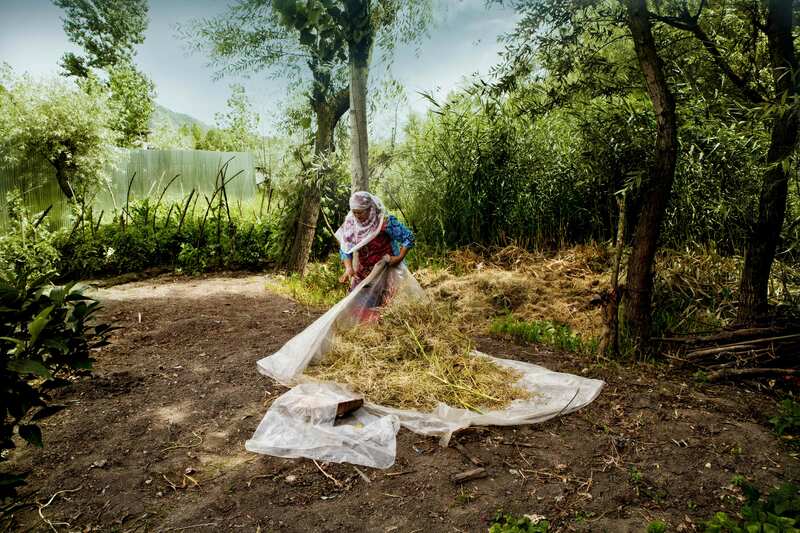 Farmers in grey pherans wearing skullcaps, with their boats laden with vegetables, are getting ready to start selling their produce, calling out to the buyers in local Kashmiri dialect. One has to be very careful about not being hit by the oars or the boats, which jostle for space in the middle of the lake. The only beings busier than the boatmen are the white cranes eagerly hovering above our heads adding to the charm of the place. 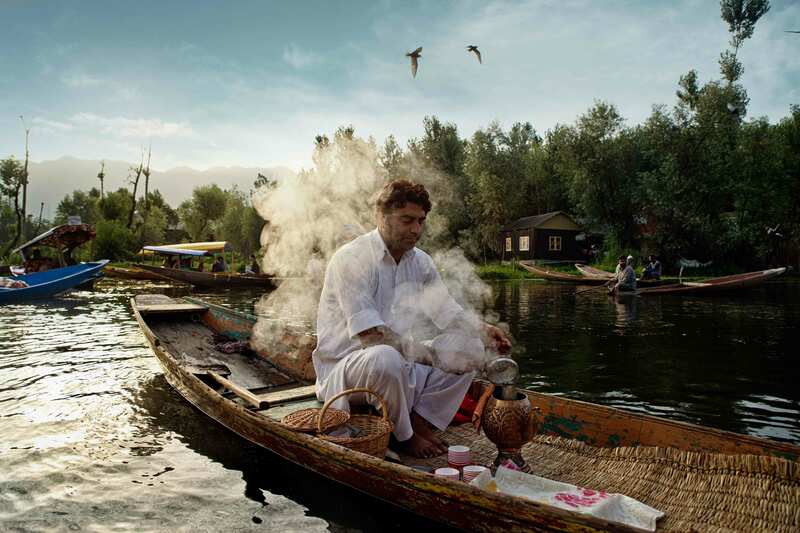 This ethereal setting is in the middle of the Dal Lake in Srinagar. 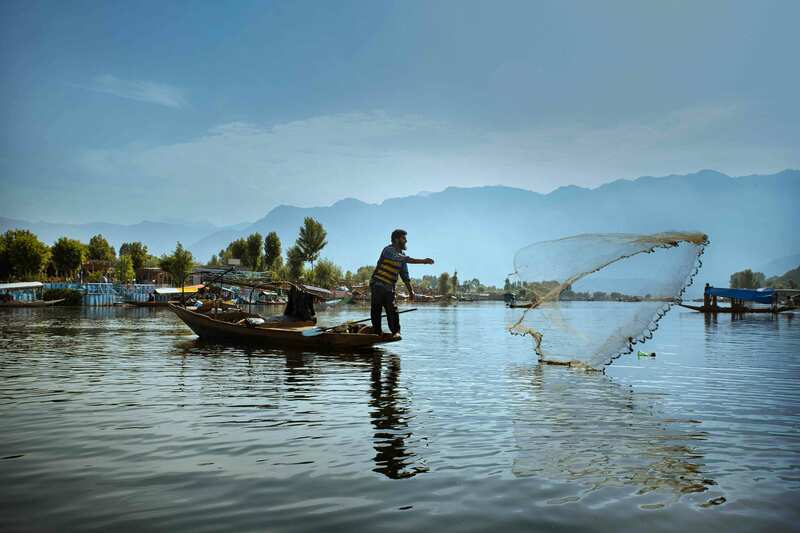 The Dal Lake is part of a natural wetland and its rich ecosystem is cultivated for a wide variety of agricultural produce, both from the lake itself and its surrounding catchment area. Farming is also done on artificial floating gardens called rad. 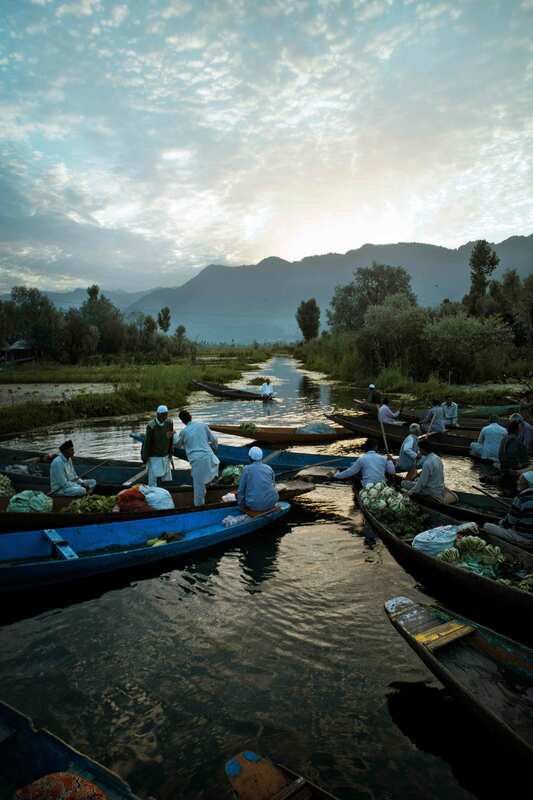 The boatmen collect fresh farm produce and start for the market at dawn. Business is brisk, and by 7 am they return to their respective villages and the market disappears as if it never existed. 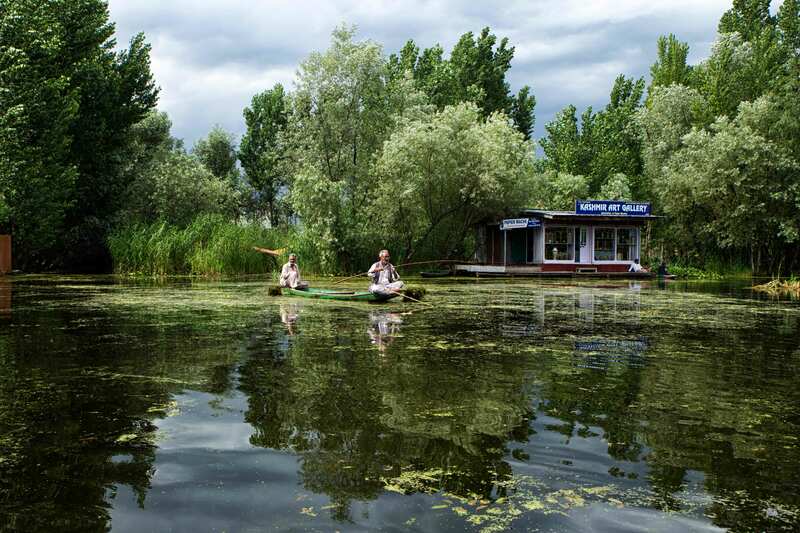 Life on the waterways around the Dal have their own pace, far removed from the urban sprawl of Srinagar city. 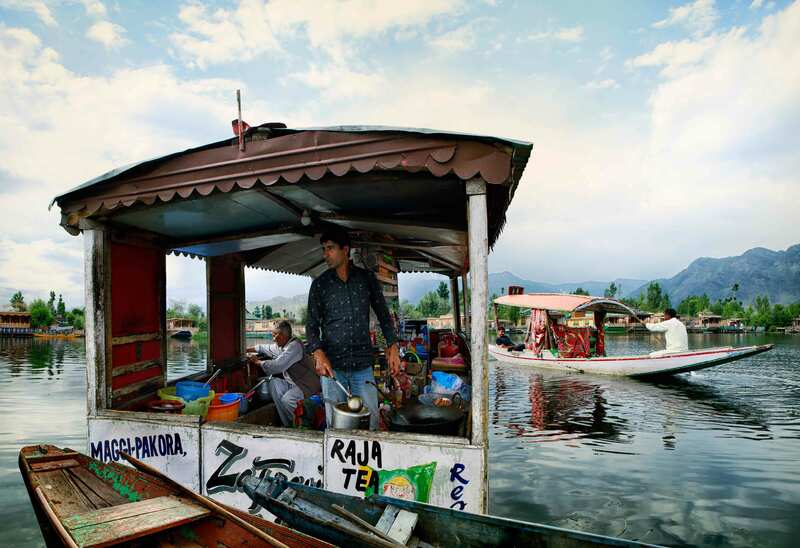 On our way back, we pass a boat selling Kashmiri naan and kahwa. Rafique-bhai slows down and we stop for breakfast. I notice our boat is surrounded by lush greenery. 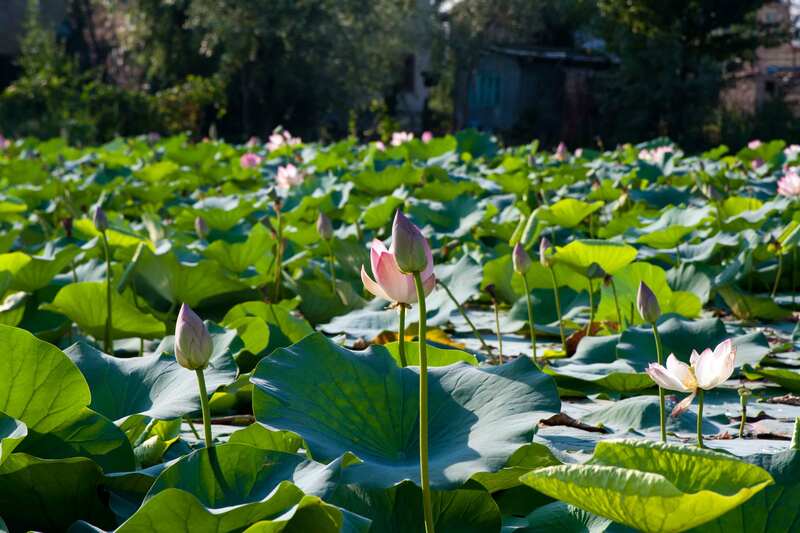 Huge leaves of various aquatic plants cover the surface of the lake, with lotus flowers and white water lilies blooming among them. Parts of the lake have clear water but some parts are covered in green algae. Though it looks beautiful, the green algae is a major cause of degradation of water quality and has to be regularly removed. Suddenly, a boat races past us loaded with children dressed in school uniforms. 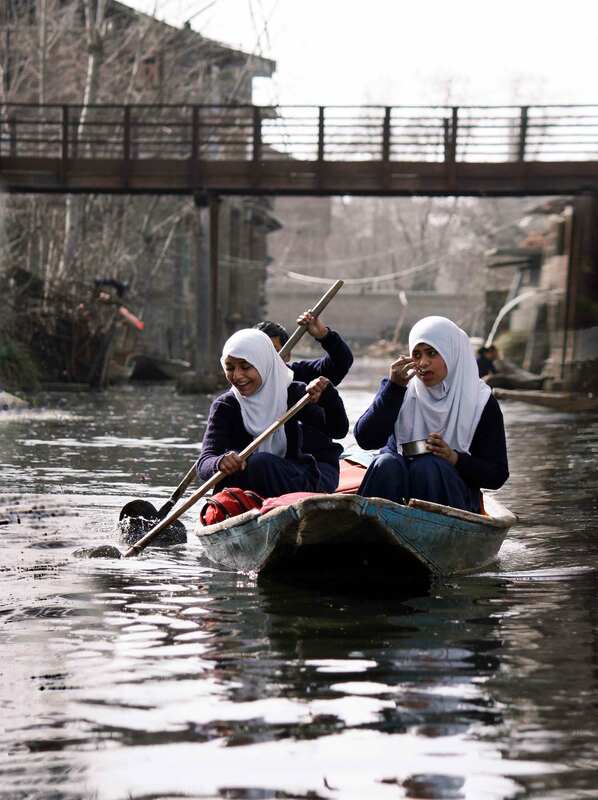 For children living in houses lining the lake, boats are their only means of transportation to schools. I am informed, even for medical emergencies doctors use boats to visit patients; in serious cases, injured and sick people are transported to hospitals on boats. 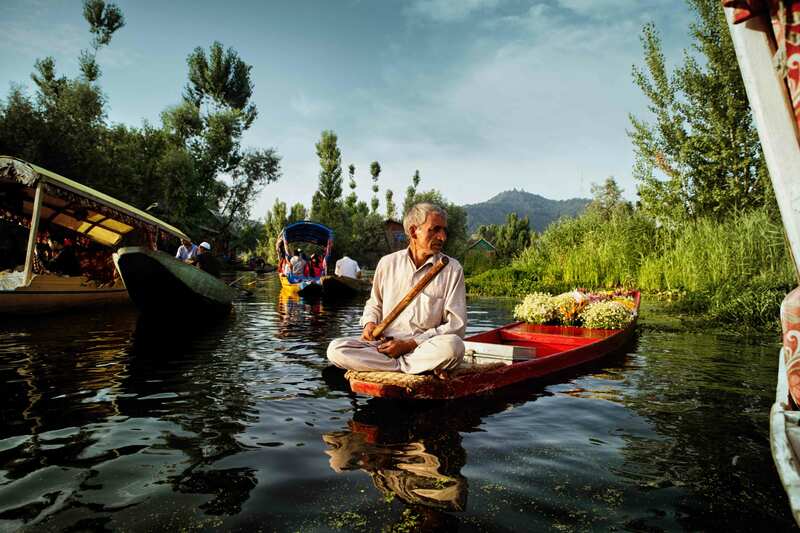 The intricate network of lakes and canals serve the purpose of roads and almost every household on the Dal has its own boat. 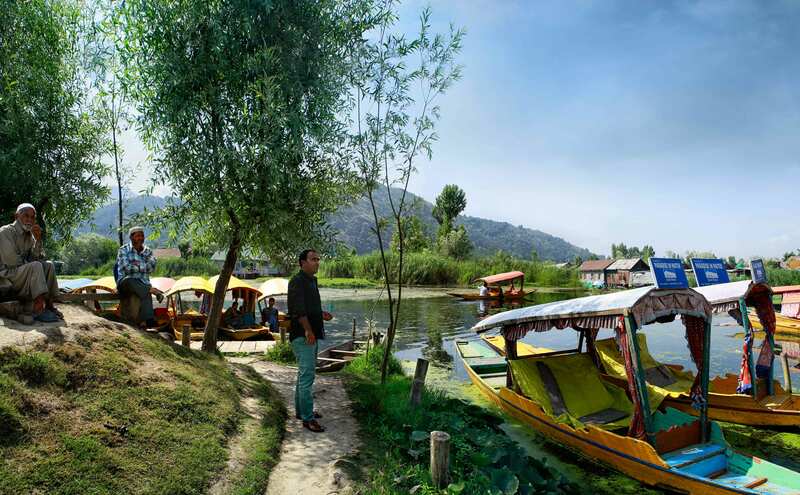 Our boat takes a canal connecting the Dal and Nagin lakes through the neighbourhood of Rainawari, in a region once known as Panditpura. This part of the canal is clearly more rundown. 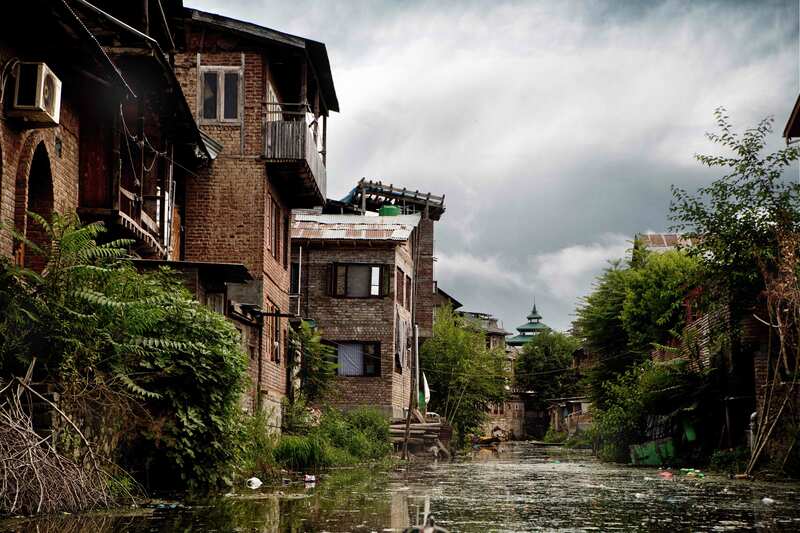 The water is putrid and even the houses look desolate, with broken windowpanes and burnt-out walls. 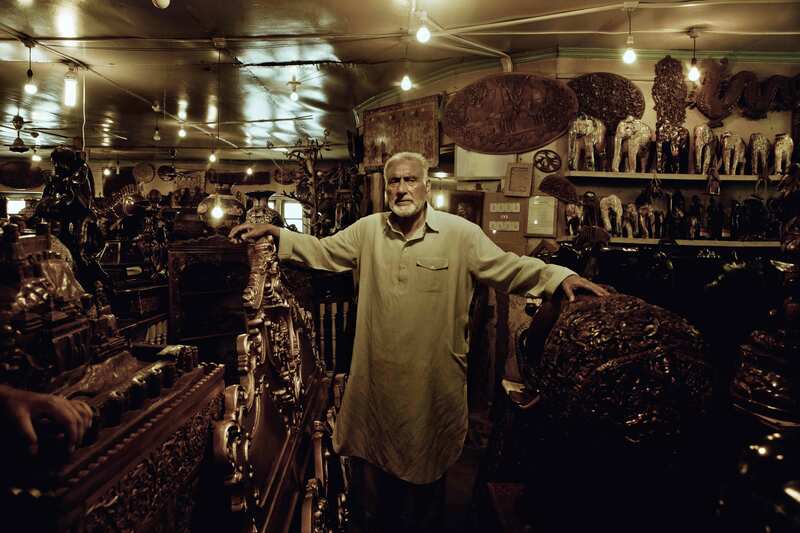 Rafique-bhai tells me that Kashmiri Pandits used to live here. 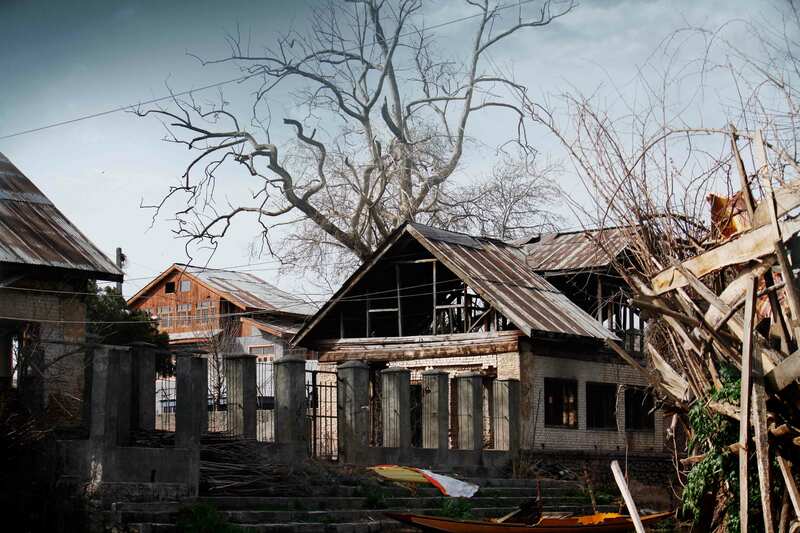 When insurgency erupted in the Valley, the minority Hindu community was systematically targeted by militants, ultimately forcing them to flee Srinagar during the 1990s. 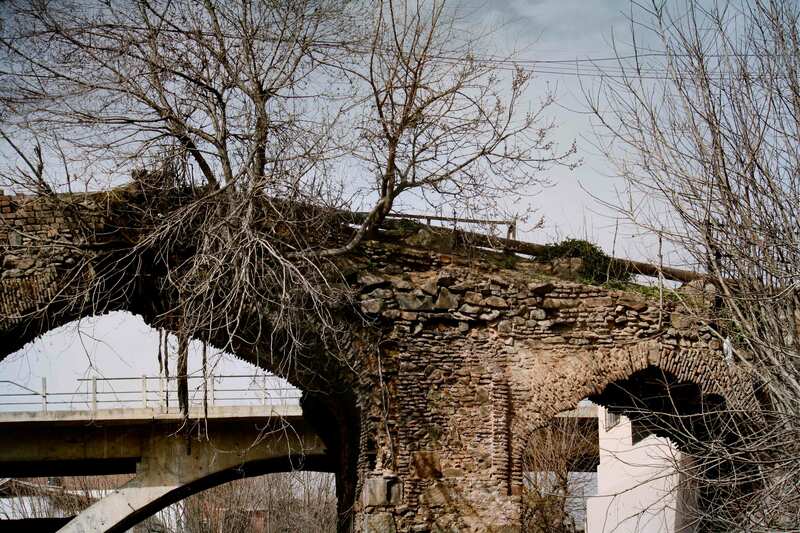 Many localities which had a Pandit legacy—including Panditpura which is now known as Faizabad— have been renamed since. Here Gulzar, a friend of Rafique and a fellow shikarawallah, joins us. He introduces me to a local family known to him for many years. 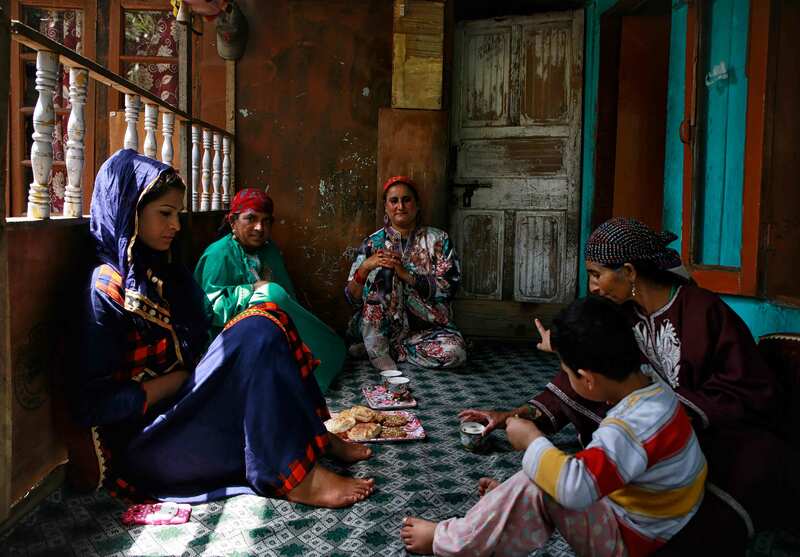 The first thing that strikes me about Kashmiris is their immense warmth and hospitality. After we introduce ourselves, we are offered the usual naan and kahwa, and we end up exchanging stories. The children are well read and feisty. 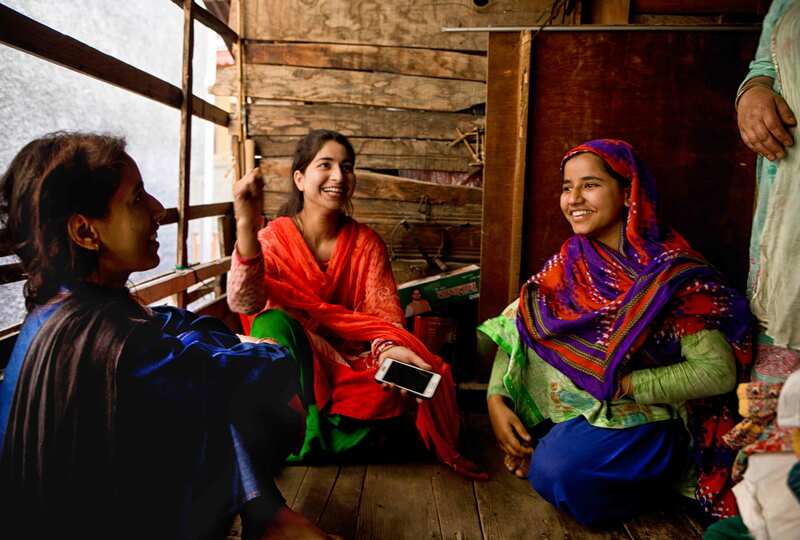 The eldest one, Mehnaz, is studying B.com; she wants to start her own business after doing an MBA. I feel a sense of awe and pride listening to their stories. While bidding goodbye, I promise to keep in touch and we exchange contact numbers and gifts. 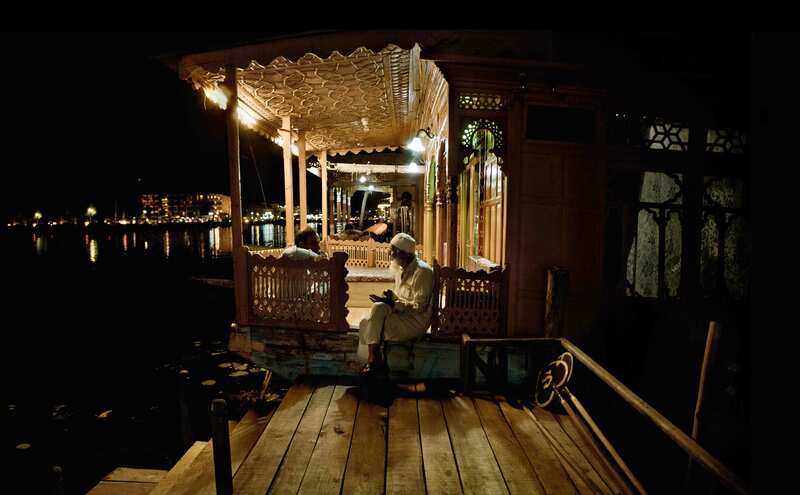 The day passes by without me realising, and Rafique-bhai drops me at my houseboat. 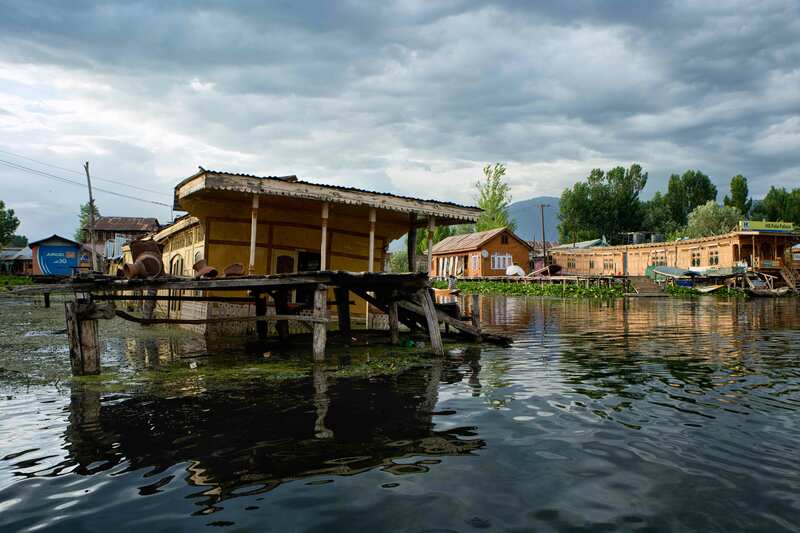 A visit to Srinagar is incomplete if one has not stayed in one of these iconic floating houses. 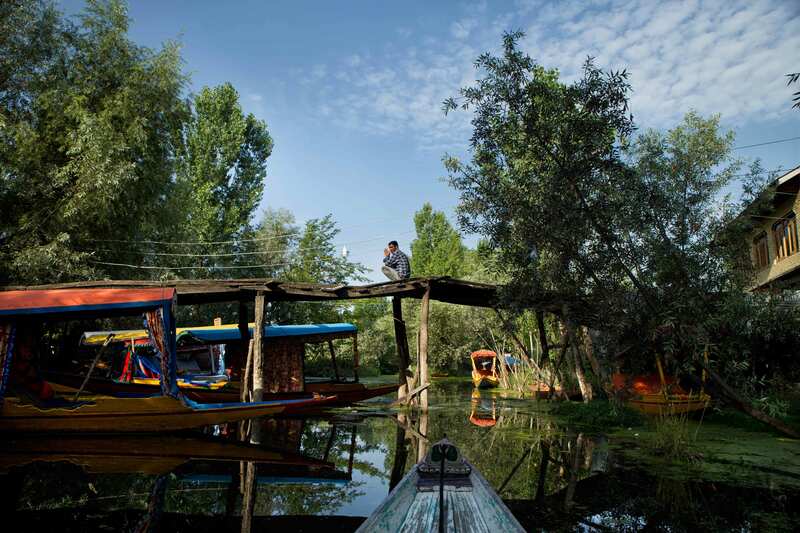 The house boats are a product of an interesting geopolitical legacy of Kashmir. British India was suspicious of the looming Russian presence in Central Asia, and the ensuing manoeuvres by both sides resulted in the ‘Great Game’. 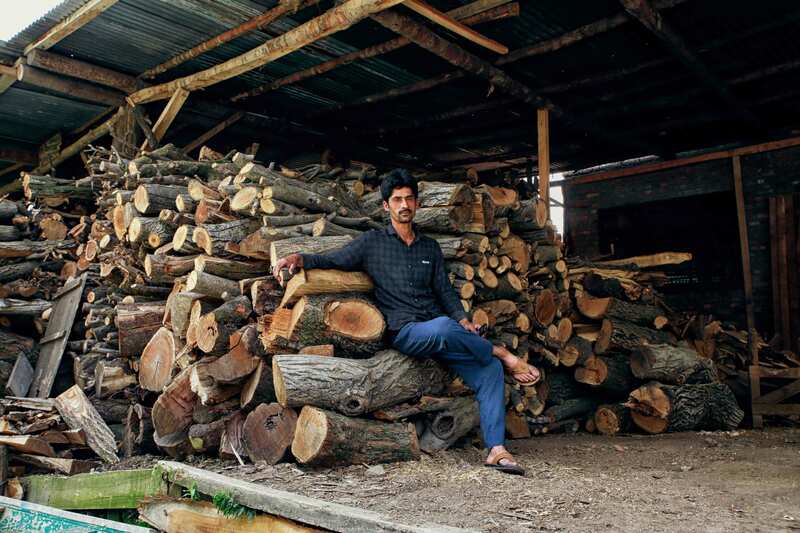 The Dogra Maharajas of Kashmir were wary of being a pawn in the game. As a result, the British weren’t allowed to buy land in Kashmir. The wily British utilised a legal loophole—there were no restrictions on living on water and they replicated a bit of England in the house boats on the Dal. 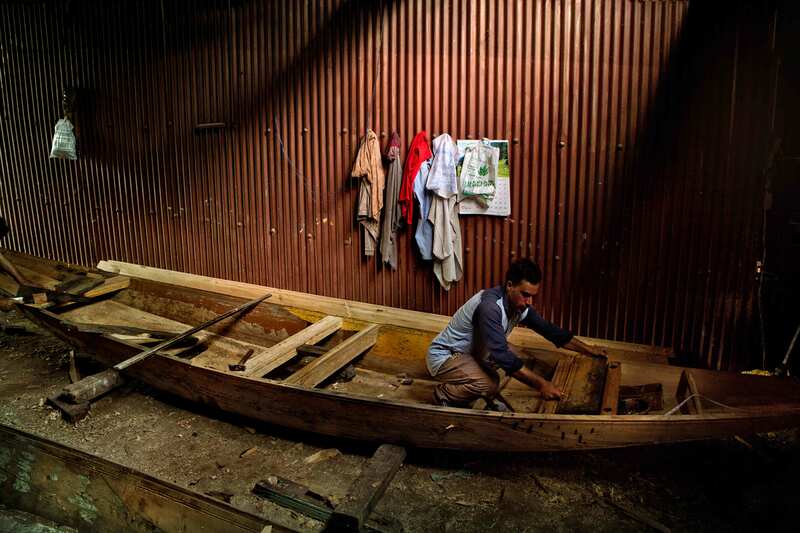 Even now, the houseboats have a distinct colonial feel; though local crafts like woodworking, metalwork, textiles, khatam-bandh, papier-mâché and carpets add the Kashmiri touch. Each houseboat typically has five to six fully furnished rooms and some even have an earthen fireplace, essential during the cold winters. 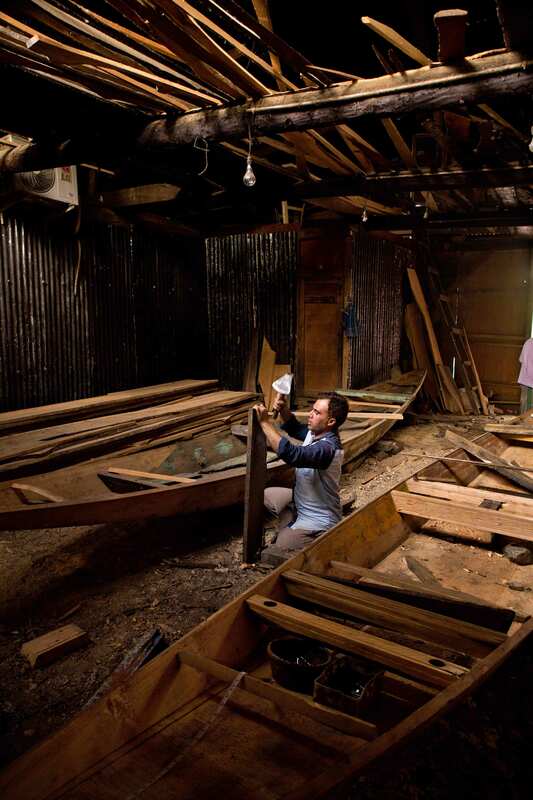 The houseboat owner usually lives with his family in a separate adjoining boat. 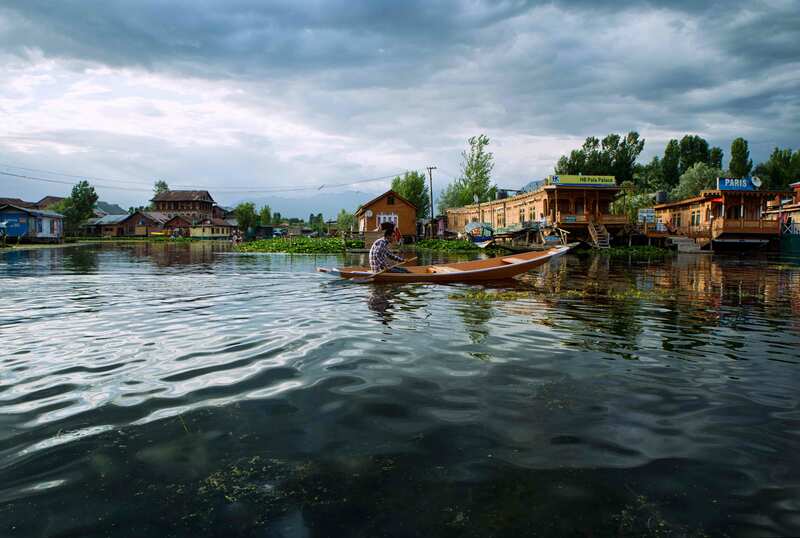 The Dal Lake is unlike any other place in Kashmir. 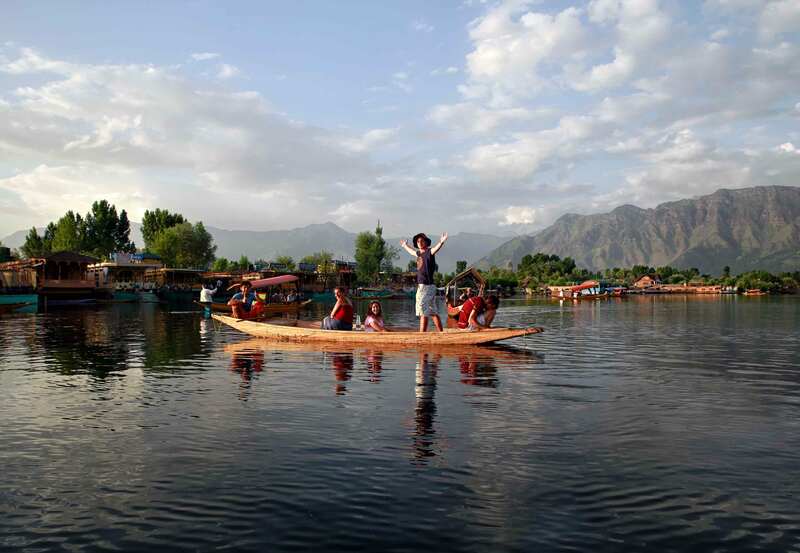 Srinagar was built around the Dal, and even now it forms an integral part of the identity and culture of the city. The view of the Himalayas reflected in the waters of the Dal can make the most cynical person fall in love with the place. Who can forget Shammi Kapoor romancing Sharmila Tagore on a shikara in Kashmir ki Kali? 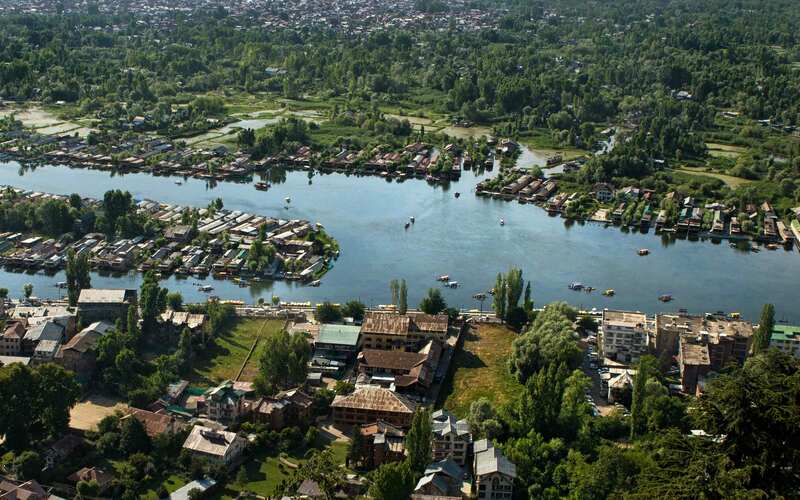 However, the Dal Lake and Kashmir’s political situation has changed a lot since the 1960s when the film was made. In a way, the decline in the quality of the lake mirrors the decline of peace in the Valley. Illegal encroachment has drastically reduced the size of the actual lake and pollution levels have increased due to overpopulation. Added to this has been the risk caused by unpredictable weather, like the destructive floods in 2014. 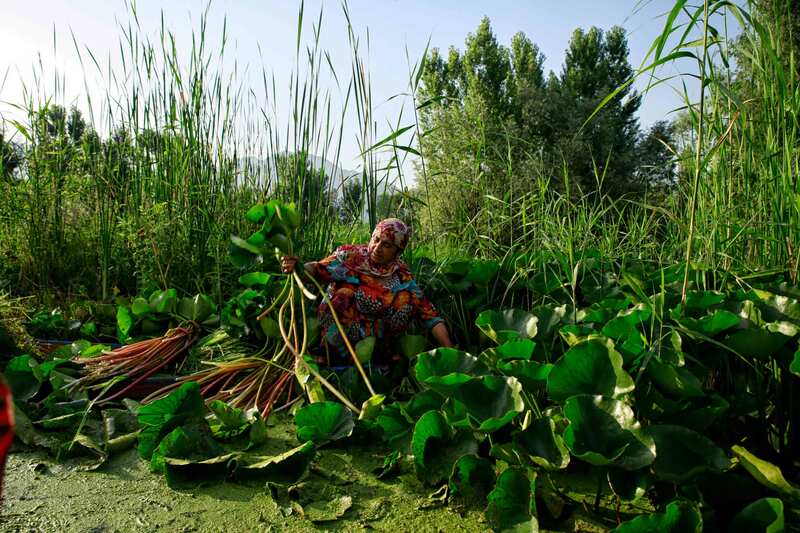 Unless drastic steps are taken to stem the rot, it will be the people who depend on the lake for their daily sustenance, who are going to suffer due to environmental degradation, climate change and drying up of tourism revenue.